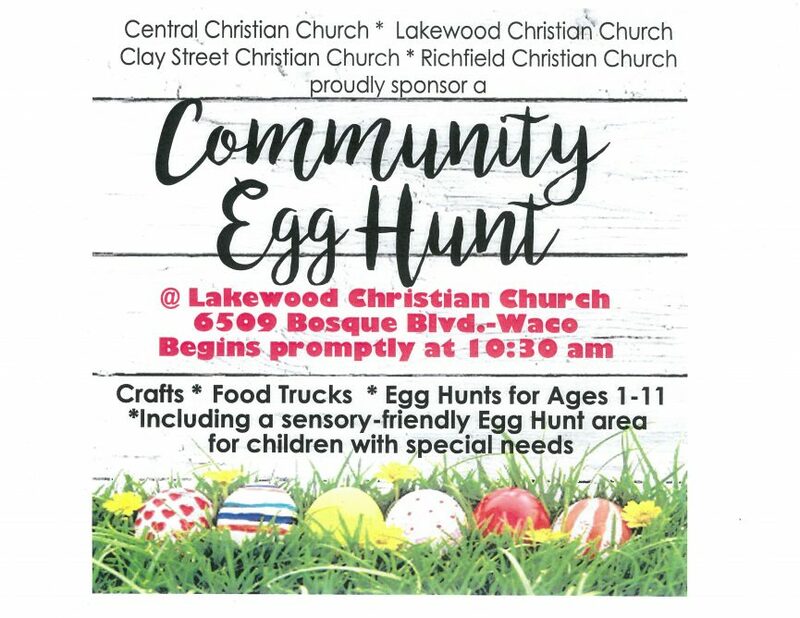 Waco Disciples Easter Egg Hunt! Hope you join us this Saturday, April 8 for Easter Egg Hunting fun! Begins at 10:30am at Lakewood Christian Church! !